Tips To Frame Your Hair At Home! Cutting hair at home, was never my thing to be frank! It always freaked me out. Especially when my mom used to call my name to chop off my hair. It had always been a nightmare. Come on! I mean, hair is everything for a girl isn’t it? You just cannot afford chopping off your hair at home just to look like a clown. But when I used to see my salon charges I used to be in shock! and by that I mean, I used to spend at least 500 bucks per month to just get my hair off me. I mean its my hair that I am cutting off, shouldn’t they be the ones who are to give me rewards! But it definitely doesn’t work that way! So I started thinking of a way to get a short budget. That’s when I thought instead of giving my mom the responsibility, how about I do it on my own! Trust me when I say for the past 6 months I’ve been cutting my hair at home and voila! It has definitely affected my budget a lot. When you’re about to cut your hair, make sure that you’ve got a towel that you could put on the floor so that when you cut it out you wont scatter it all over the place. It would be easier to clean up as well. Getting a towel for you is also important, as you don’t want hair being smeared all upon you and feel itchy about it. As getting a smock for yourself would be rather expensive and yes, towel is readily available so why not? They are must! Without them how are you gonna cut your hair. Also be sure that you get a good quality one. Because I remember this once that I had bought it from a cheap market and had suffered a really bad hair cut, that I had to wear scarf everywhere I used to go! Well, the size doesn’t really matter as long you see what have you done to yourself. Yes, getting a mirror is essential! Getting an idea about how to cut your hair is really important. Without it, you cannot really just chop it as how my mom used to do. She literally used to take the scissor and brush it out in a single move. It used to be like a super power I guess!! So yes getting an idea is important. 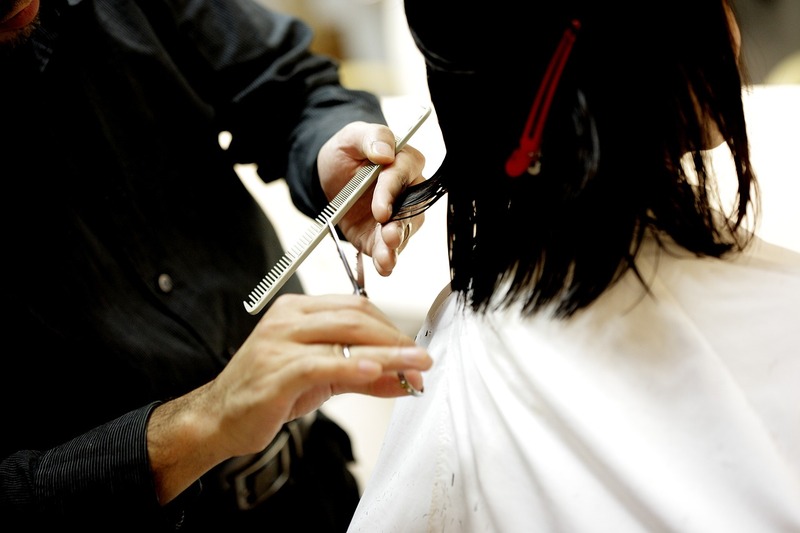 Before you start with the cutting procedure make sure your hair is washed and clean. If this is to be applied to a small kid you can get something for them to watch or play on so that they have their attention elsewhere so that they don’t keep on moving and shaking a lot! A very important matter! Take your time, take it slow especially if you’re a newbie to this process! It is always important to know that if you’re doing something wrong then stop right now! And run to get professional help! Last but not the least, I hope these get you along the journey of cutting your hair really well! Also do not allow your mom to touch your hair unless she does read this! (just joking!!) you can still try your own way out and make new styles out of it. Happy Hair Cutting!